For the second time in as many weeks, we’re incredibly happy to say that our work for Boss Design on the launch of their Myriad range has been recognised with an industry award. 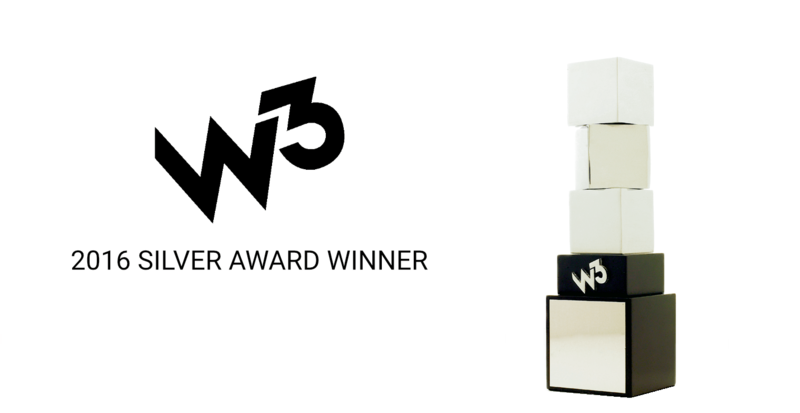 This time, we’ve won Silver in the W³ awards! The W³ Awards exist to honour “creative excellence on the web, and recognises the creative and marketing professionals behind award winning sites, videos and marketing programs”. Judged by the Academy of Interactive and Visual Arts in New York, these awards provide recognition from some of the very biggest names in the industry, including members from Disney, Microsoft and Yahoo, so it’s a real honour to be included among the winners this year, especially considering there were over 5000 entries! After being nominated in two categories for The Drum’s Cream Awards last week, this marks the third award that this work has been recognised with. While we don’t produce work specifically with awards in mind, we always appreciate it when our efforts on a particular project are placed into the spotlight like this. It just goes to show that when you’re given an exciting and challenging brief, like the one that we were given by Boss Design for Myriad, then anything is possible! You can find out more about Myriad in our Case Studies, along with plenty more of our award-winning work.